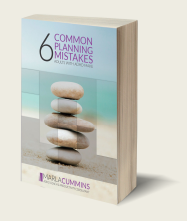 Are You Looking for Help Getting Beyond Stuck and Overwhelmed to Done – and Making It Last? to Done – and Making It Last? If you are an Adult with ADHD (or similar challenges), and you want to reach your goals with less struggle, you are in the right place. Whether you are an executive, professional, small business owner, or academic, you are looking for help working with your ADHD, so you can reach your potential. But you are not looking for a quick fix or just another cookie cutter approach. You want a solution that will work for your unique needs and preferences. Because you want a solution that you can maintain over the long run. And you don’t want to lose what makes you uniquely you. Maybe you are frustrated, trying to figure out the best strategy to help you move forward. I Can Help You Create a Roadmap to Working with Your ADHD – Even If You Are Struggling Now. prioritize the tasks related to your goals and responsibilities. follow through and complete your tasks. choose and implement the appropriate tools and strategies. manage your time more efficiently. create balance in your life. gain control over your life. manage your ADHD symptoms without losing what makes you uniquely you!